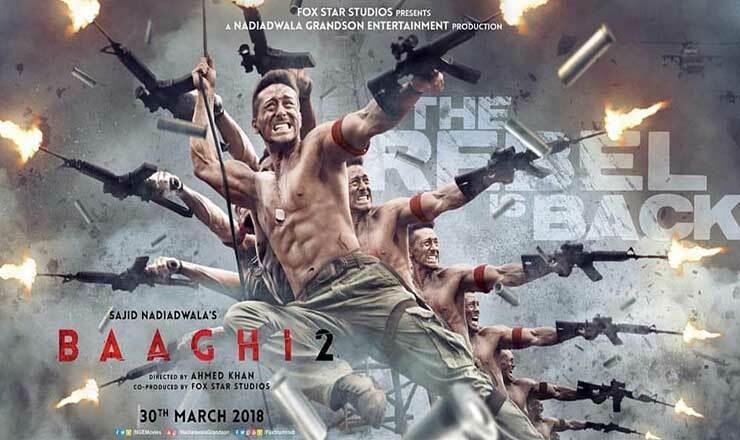 Baaghi 2 is a sequel to the 2016 film Baaghi, this is a Bollywood romantic action drama film produced by Sajid Nadiadwala under his banner Nadiadwala Grandson Entertainment and directed by Ahmed Khan. Baaghi 2 features Tiger Shroff and Disha Patani in lead roles. The film is scheduled for release on 30 March 2018. Baaghi 2 movie songs were written by Javed Akhtar, Kumaar, Ginny Diwan, Sayeed Quadri and Arko Pravo Mukherjee while music composed by Mithoon, Arko Pravo Mukherjee, Sandeep Shirodkar, Gourov-Roshin and Pranaay Rijay. Music label T-Series.